As a history teacher, I am regularly thinking about the past. I love talking to older people and trying to get stories that are first hand accounts or more closely connected to historical events. That's why I found it very interesting last week, when I stumbled upon a blog post from a man who had interviewed, Esther Lehmann of West Texas. Esther was the daughter of Willie Lehmann and niece of Herman Lehmann, both of whom were kidnapped by Apaches in 1870. Now I don't want to steal the thunder of the other bloggers, so if you are interested in the story, I suggest that you stop now and read this article HERE and the other one HERE. If you're not the sort of person who likes to read more, I'll give you the basics. While out in the fields on their family farm in May of 1870, when Herman was 11 and Willie was 8 years old, a group of Apaches came and kidnapped both boys. After a few days, the cavalry caught up with the Indians and Willie was able to escape, but Herman remained a captive for eight years, eventually adopted by Quanah Parker and taking part in battles against the Army. Herman's mother never stopped looking for him and eventually Herman was reunited with the rest of his family. The interesting part to me was that the Lehmann brothers still have living children. 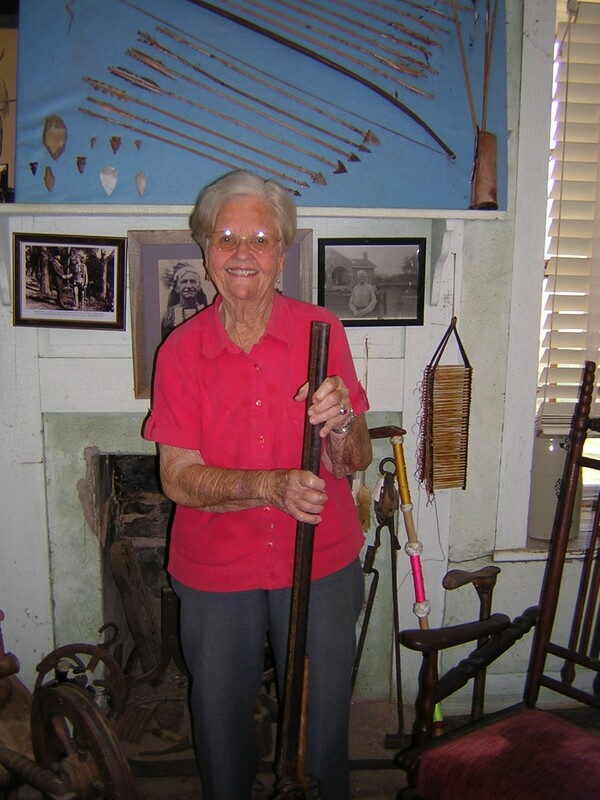 Esther Lehmann gave at least the two interviews above and has a sister, Gerda, who also lives not too far away in Kerrville, Texas – certainly makes me wish I lived closer so I could invite them to come talk to my classes. I just think it would be fascinating to hear from someone who could say, "Oh, yes, my dad was captured by the Indians." Even though at first glance this might sound unusual, if a person has children old enough, the connection to the past can span more years than seems reasonable. A little less than four years ago, Woody Plaugher, a fellow I knew personally died. His father had fought in the Civil War. That's pretty remarkable when you think about it. And of course it seems perfectly reasonable to have children of Indian captives around if we still have the last children of Civil War soldiers still with us. Of course, I've written about this kind of thing before on my blog when I mentioned President John Tyler (1790-1862) having living grandsons. I noticed the Internet picked up on it last month and New York Magazine even interviewed Harrison Tyler. Do any of you know people similarly connected closely with the past? I'd love to hear your stories. Herman Lehmann's life story is fascinating, it could easily be made into a movie. I just read the NY Magazine's article about Harryson Tyler, thanks for the link. My grandfather stood guard at the Royal Palace's gate when the husband of queen Wilhelmina returned from his nightly escapades. That's all I can tell. Back in those long ago 60's. My history teacher during my senior year used to tell us that when she was a child Civil War veteran'swould march in the Veterans Day parades. She also spent about a semester and half on the slavery issue of the civil war. Granted that was an important issue and relevent because of the the Civil Rights demonstrations of the day. Though I always felt that we were shortchanged in the history department. Until college history courses I had learned little of the period between the civil war and the 1960's. And of course the College professors assumed that we had been taught something about that period. I happen to know Ester and her sister Gerda, they live in Loyal Valley Texas. My wife and I have spend many days in Esters home and celibrated Thanksgiving recently with her. Ester never married and has no children, she still lives in her fathers home where she was born. We often take her home made Deer Jerkey (Jerk as she inderingly calls it). Girdie is in a nursing home is what Ester told us a few visits back. Indians from Oklahoma still visit her home annualy and conduct cerimonial rights in Esters front yard. I am looking at a signed copy of Hermans book that I am about to send to my friend in Oregon, he and his brother are Native American Indians. We just took a cruise with them to Alaska where i shared Hermann's story with them. Thanks for the additional information. I'm happy that you have a personal connection and appreciate your post! My grandmother was related to Herman and told me about when they found him and brought him home for the family. She said they had a big feast that included roasted pig, and evidently they didn't like pig so he threw over all the tables, killed their pigs and the neighbors pigs. I asked grandma what they did and she said they sent him back to the reservation. I've read some letters from his mother and other family members discussing his kidnapping. Herman is my husbands grandfather. Esther passed away last year. The germans came over to Texas last year and made a documentary of the Lehmann story and someone has posted it on youtube. Also Duke Davis wrote a ballad about Herman you can also find on youtube. My Great Grandfather "Wild" John Davis was friends with Herman. They were introduced because Herman had a hard time getting along in genial society and owing to Wild John's reputation it was thought it would help if they were friends. 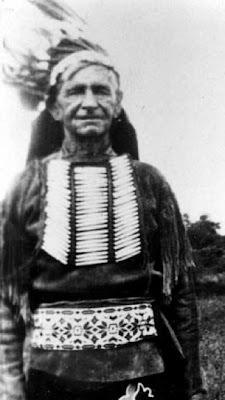 Wild John used to tease Herman by saying he hadn't really been living with Indians and was just a runaway. So Herman had him walk off a distance and shot him square in the back with a blunt tipped arrow. No more teasing after that.